Immediately after the release an amazing thing happened�� I started receiving code from people around the world. They had problems similar to mine and were able to modify the little analyzer to suit their needs. They were also kind enough to contribute those modifications back. Those contributions haven’t stopped to this day and Wireshark has grown into a mature, feature-rich, award-winning network analysis tool. People around the world use it to troubleshoot networks, develop software and protocols, and to learn about networking. The fifth annual Sharkfest wrapped up a couple of days ago. You are no doubt feeling terrible if you missed it. 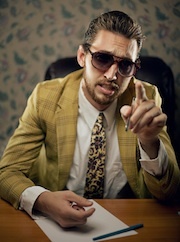 Don’t despair, you can find a retrospective at the Sharkfest web site. The events team tried to make sure each session was recorded so we should have videos to go along with the slides soon. Monday’s keynote was delivered by Cliff Stoll. He kept insisting that he didn’t have much to say while simultaneously delivering an informative and entertaining talk. Steve Riley provided a lot of insights into cloud computing: how it’s changing computing and how it can best be utilized. Loris Degioanni (aka my boss) gave a great presentation on the new platform API that some people have been working on here at Riverbed. I think this is going to be a must-have once people realize the cool and crazy ways that this can be leveraged. Wireless was well-represented Thomas D’Otreppe taked about OpenWIPS-ng, his new wireless IPS/IDS project. Metageek’s Ryan Woodings talked about wireless below the packet level. Mike Kershaw and Michael Ossman talked about the development of the Kisbee and Ubertooth adapters, and how you too can design and implement real hardware devices. Hansang Bae showed modern TCP stacks and network devices can collude to make connectivity really slow, and at a really low level. 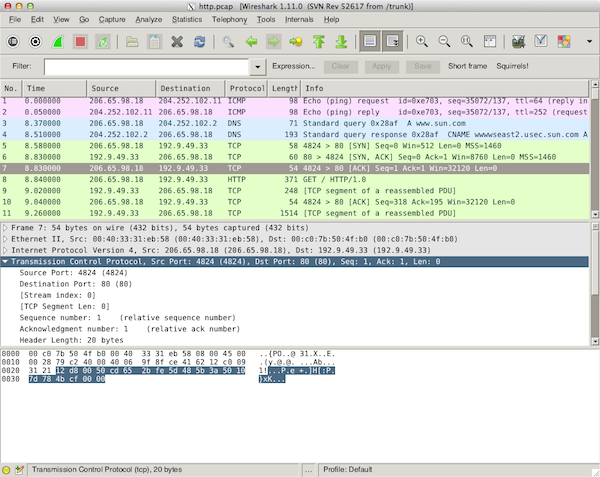 Laura Chappell showed off a lot of the new features in Wireshark 1.8. I even learned something � you can type a color name (e.g. “bisque3”) into the color picker in the preferences. 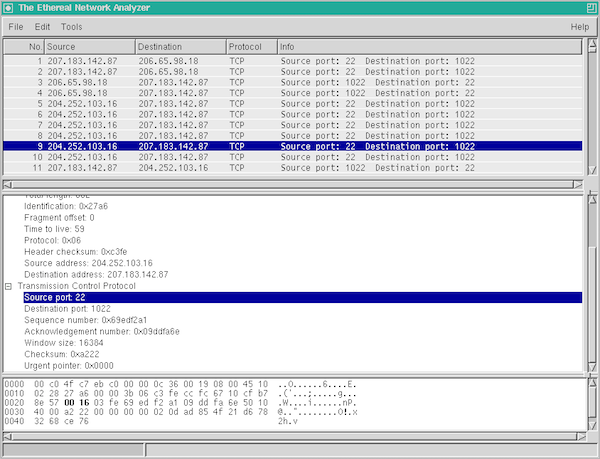 She also released the second edition of Wireshark Network Analysis. It’s even heavier than the first edition, which I learned first-hand. I led one session this year, Ask The Experts. We ended up talking about ways to improve Wireshark and a few of the core developers and I discussed these ideas the next day. We got logs of great feedback on the conference as well. Several people commented that we didn’t have as many devlopment-oriented sessions this year as we have in the past. Maybe we can add more next time. 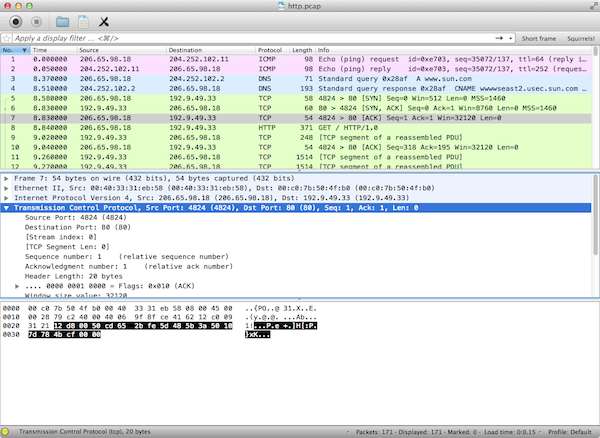 Wireshark is a great and wondrous thing due to its community. The developers, users, educators, sponsors all play a big role in its development and evolution. I see small reminders of this every day but it becomes abundantly clear each year at Sharkfest. Thanks to the attendees, presenters, and to the Riverbed events team for creating a wonderful experience. I can’t wait to see what next year’s Sharkfest has in store. 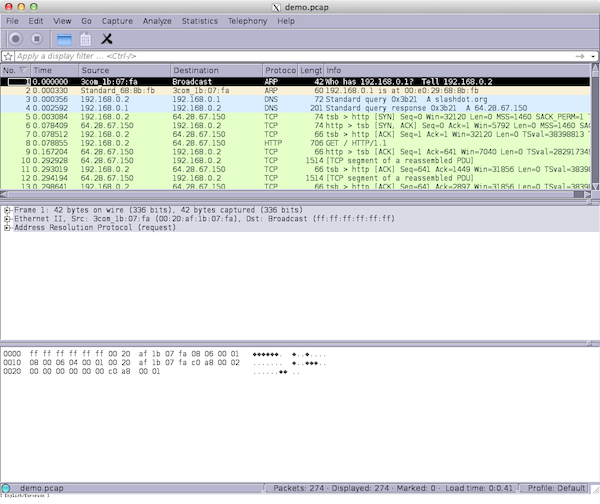 For many years a number of third party sites have also offered Wireshark downloads. Typing “wireshark download” into your favorite search engine will turn up a bunch of them, usually just below links to wireshark.org. These sites are popular and often provide valuable services such as reviews and malware prescreening. They also reside outside the Wireshark ecosystem � we don’t link to them and aren’t affiliated with any of them. I sent a request to Download.com to disable their stub installer for Wireshark. They complied, but there are dozens of other download sites. Trying to keep tabs on all of them would result in a never-ending game of Whac-A-Mole�.